We all have a humanitarian side whether it is writing a check to our favorite charity or volunteering our time to worthy causes. Then there are those who take humanitarianism to a whole new level. Whether by selfless acts or billion dollar checks that can change the course of entire nations, it is daunting to think of what the world would be like if there were no people who took it upon themselves to make a difference. Although no one person or even group of people could hold the title, we have done our best to select the 25 most famous humanitarians of all time. Whether famous, infamous, or just lacking in the recognition they deserve, it is difficult to deny the significant contribution they have made to the world. These famous humanitarians continue to make headlines with all of their good deeds and are listed mostly by amount donated. Few other humanitarians can match their talk of good deeds with the actual amount the founder of Microsoft has put up. While the exact total donated or pledged is hard to gauge, it is at least $29 billion, according to I4U News. Although Gates donates to a variety of causes, one of his most devoted causes is the fight against malaria. As part of the Bill and Melinda Gates Foundation, he has received various awards for his humanitarian efforts. You can check out more on “60 Minutes,” which estimates he will give away $60 billion. What do you have to do to inherit 85 percent of a $44 billion fortune? 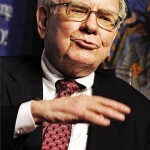 The short answer is prove to Warren Buffett that your humanitarian cause is worth it. The 75 year old billionaire is well known for his sound investing and practical advice. However, in humanitarian circles he might be better known for pledging most of his earnings to charity. The bulk of the fortune is planned to be given to the Gates Foundation and other related organizations which focus on world health. Other charities on the giving list include foundations headed by Buffett’s three children, Susan, Howard, and Peter, and to the Susan Thompson Buffett Foundation. While some humanitarians will name the foundations they founded after themselves or a family member, he is reluctant to do so. The same goes with having wings, buildings, or even a plaque in his honor erected at the universities or hospitals he has donated hundreds of millions to. Worth at least $8 billion, he is a founder of Duty Free Shoppers. The board of his foundation has instructions to give away every penny by 2016. Although his critics have loads to say about what Soros is actually funding, the billionaire is estimated to have given away over six billion to humanitarian efforts. The Chairman of Soros Fund Management, LLC, he is one of the world’s most successful financiers. The Open Society Foundation is his humanitarian organization and supports democracy and human rights in over 70 countries. The man behind the Virgin Group has been well known for many stunts, but humanitarian efforts also land him on the list. According to the Power of Giving, he pledged that all his profits from his train and airline businesses would be donated to charity. The estimated worth is three billion dollars. The cause is ironically enough global warming. This humanitarian has long been giving away his money, which totals well into the billion dollar range. Founder of a global chemical manufacturer, his serious giving days began in 1992 when he was diagnosed with prostate cancer. On his way to the hospital, he gave a one million dollar check to a homeless shelter, another million to a soup kitchen, and $500,000 to the clinic that first found the malignancy. Huntsman would go on to found his own cancer foundation, which cost him more than one billion dollars alone. His donations have even gone so far as to knock him of the Forbes list of wealthiest individuals. The front man for the band U2 has made no secret of his humanitarian efforts. Using both his fame and his own fortune, he has fought everything from war to disease. At barely 50 years old, he has a long running record of worthy humanitarian efforts that far make up for the lack of billion dollar wealth. Just a few include efforts to quell famine in Ethiopia, AIDS in Africa, and the environment. Lisa Germinsky of Tonic even has a list of Bono’s top ten humanitarian efforts. Although these humanitarians are no longer with us, their deeds still live on today. She proves that you don’t need to be a billionaire to be one of the greatest humanitarians of all time. Born Agnes Gonxha Bojaxhiu, she became a nun and was granted permission to provide food for the needy. The Missionaries of Charity then began in India and would later grow to have branches in 50 Indian cities and 30 other countries. A recipient of the Nobel Peace Prize, her philosophy of actively helping the poor in every way is by far her greatest humanitarian contribution. He again proved that you don’t have to have a lot of money to make a difference. This humanitarian is best known for using non-violent practices to end the British occupation of India. What began as a stay in South Africa to earn his rights as British citizen grew to a movement that would capture the world’s attention. He is also the recipient of a Nobel Peace Prize. 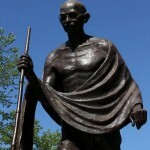 Much like the above, he is best known for his practice of non-violence as a protest against injustice. As a pastor for a church in Alabama, he was one of the first to defend Rosa Parks. His role in the American civil rights movement would later grow and he would give the “I Have a Dream” speech that has inspired so many other humanitarians. Also like Gandhi, Dr. King received the Nobel Peace Prize. More than a topic of Hollywood films, he was a saver of lives when it was of great danger for him to do so. A factory owner and member of the Nazi party, he seemed to be unlikely to be one of the greatest humanitarians of all time. After a change of conscience, Schindler used his factory as a way to employ Jews and keep them from being sent to the deadly Auschwitz camp. The simple act went unsung for a long time, but the over one thousand people he saved and their families still sing his praises. Much like the above, he is accredited with saving the lives of many Jewish people during World War II. Along with colleagues, Anger fabricated Swedish passports that allowed Jews to leave occupied countries and find safe haven in Sweden. For his efforts, he won many humanitarian awards including from Israel, Hungary, and the United States. Chances are if the building has the name on it, it was founded by him. In the 19th century, Andrew Carnegie was the richest man in the world and made his fortune at the dawn of the industrial age. In addition to giving away millions of dollars, which was unheard of at that time, he was one of the first wealthy men to believe it was a disgrace to die rich. Although his name is often associated with medical, he amassed with wealth through banking and smart investing. Out of his eight million dollar wealth, also a significant amount at the time, he left seven million to endow a university, a hospital, and medical school. After his death in 1873, the will was carried out and the institutions still stand today. One of Hollywood’s all-time greatest leading men was also a great humanitarian. After starring in many movies from “Cat on a Hot Tin Roof” to “Cars,” Paul Newman enjoyed a long and successful acting career. However, in 1982 he wanted more. That year, he cofounded Newman’s Own food products which most famously made salad dressing. Throughout the years, profits were used to donate over $250 million to charities and are still being generated today. Newman also sponsored eleven Hole-in-the-Wall camps worldwide that helped thousands of children with incurable diseases experience outdoor activities. These famous humanitarians have a specific cause that they are known for. He will always be known as the former Vice President of the United States, but his humanitarian efforts on behalf of the environment have won him many awards. A speech given was the basis for the award winning documentary “An Inconvenient Truth” and Gore often travels to speak and discuss how climate change and poverty can be combated at the same time. The blogger at Triple Pundit has more. In 2003, the talk show host became the first African American woman to become a billionaire. In addition to breaking many other barriers, Winfrey is also well known for her humanitarian efforts. One of her best known accomplishments was the Oprah Winfrey Leadership Academy for Girls in South Africa. She also has her own foundation which donates millions to fight poverty, build dreams, and much more. In addition to being an accomplished actor starring in films like “Forrest Gump” and currently “CSI: New York,” he is one of the most outspoken advocates of military and humanitarian efforts overseas. He is known to often visit troops even in dangerous areas and has given loads of time and money to worthy causes. A few include bringing school supplies to needy children overseas and providing prosthetics to wounded soldiers. Although it is impossible to replace Bob Hope as the face of the USO, no one has done a better job of trying than Wayne Newton. The ever popular singer can sell out Vegas stadiums but truly makes his humanitarian mark when performing for the troops. A few highlights of his service for the USO include performing for 25,000 members in 1983 after the attacks in Beirut, serving as Chairman of the USO Celebrity Circle, and being the first USO performer to go to Afghanistan. Because the children are the future and education shapes that future, there is Jeff Skoll. He is the man behind the well-received document entitled “Waiting for Superman.” He made his billions as one of the original eBay employees. Skoll now spends his time and fortune making hard hitting documentaries that have won him notoriety. He has also signed a pledge leaving much of his wealth to charity. While many of us have ditched old-fashioned radios for iPods, a single radio can make a huge difference for the impoverished people of Africa. This was the cause the executive director of the FreePlay Foundation sought to overcome. Knowing how valuable education and information was for developing countries, Pearson helped develop a radio that allowed these programs to be played in villages, even if there was no power. There are now almost 100,000 Lifeline radios committed to various humanitarian projects in developing countries, with over two million listeners. Young Hollywood hopefuls head to the city every year to do what he has done: become a well-respected and successful director. With credits such as “Ace Ventura” and “The Nutty Professor,” Shadyac seemed to have it all, including a 17,000-square foot mansion in Los Angeles. However, things changed for him after a bicycle accident. He began questioning the hypocrisy in his own life and traded his mansion for a trailer in Malibu. Earlier this year, he released a documentary entitled “I Am” with more on the philosophy. Never heard of him? Neither have most people. Many people say money is the root of all woes, but few prove it like he does. This Australian millionaire found no happiness in all his wealth, so he wanted to give it away. This includes a luxury villa, stone farmhouse, gliders, and luxury car. The proceeds are going to charities in Central and South America and Rabeder himself plans to live in a small wooden hut. Although no list of greatest humanitarians can ever truly be complete, we hope we have included at least some of your favorites in the above 25 most famous humanitarians of all time.